The members of our Armed Forces are owed so much for the service they give. The least of which is a time to be with their families and enjoy a little time off. Theme parks around the country recognize that and have offered up huge discounts and free admission for active and retired military for the month of November. While most parks offer huge discounts year round for military and their families, this November some parks are offering free admission, and huge discounts for the family. Disney 4-Day Military Promotional Tickets with Park Hopper and Water Park Fun and More Options for $230 each, plus tax. All three SeaWorld Parks in Orlando, San Diego and San Antonio offer different discounts and admission policies for Veterans and Active Duty military. Busch Gardens Tampa and Williamsburg also offer free and discounted admission. The program is called Waves of Honor, and honors military throughout the year. Certain times of the year, the parks will offer free admission to military and their families. One of the most touching parts of SeaWorld is the Salute to the Military before each and every Shamu show. You can visit the official Waves of Honor website for more information. 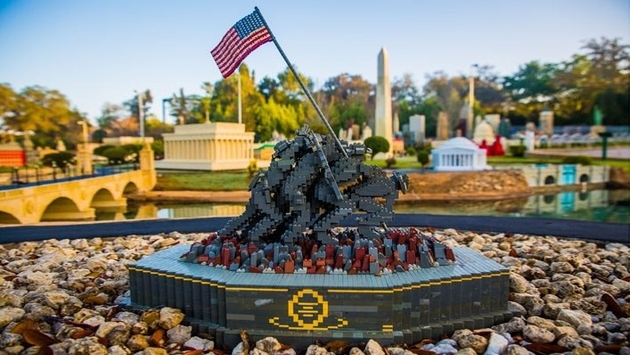 For Veterans Day, Legoland is going all out. Not only can Veterans receive free admission for themselves, but they also receive half off admission for up to six members of their family. On top of that, Legoland Florida will offer 10 percent discounts on purchases of food and select merchandise. The park offers free admission to Veterans all year long. Details and more information can be located on their official website. Southern California’s premiere family theme park doubles down by not only offering free admission to military, but also free admission to first responders. Knott’s Military Days gives free admission to Active, Retired, or Veteran Military and one guest until Nov. 18, and then picks up again from Nov. 28-Dec. 16. The park goes one step further and gives free admission to police, firefighters and EMTs and a guest from Nov. 28-Dec. 16 Of course restrictions apply, and more information can be found on the company’s website. Throughout the year, many parks also offer free and deeply discounted tickets for veterans and their families. It is the very least that we can do to thank these wonderful men and women for their service, and the sacrifices they make every day.